Rene LaVice Releases Drop ItNew music from Rene! 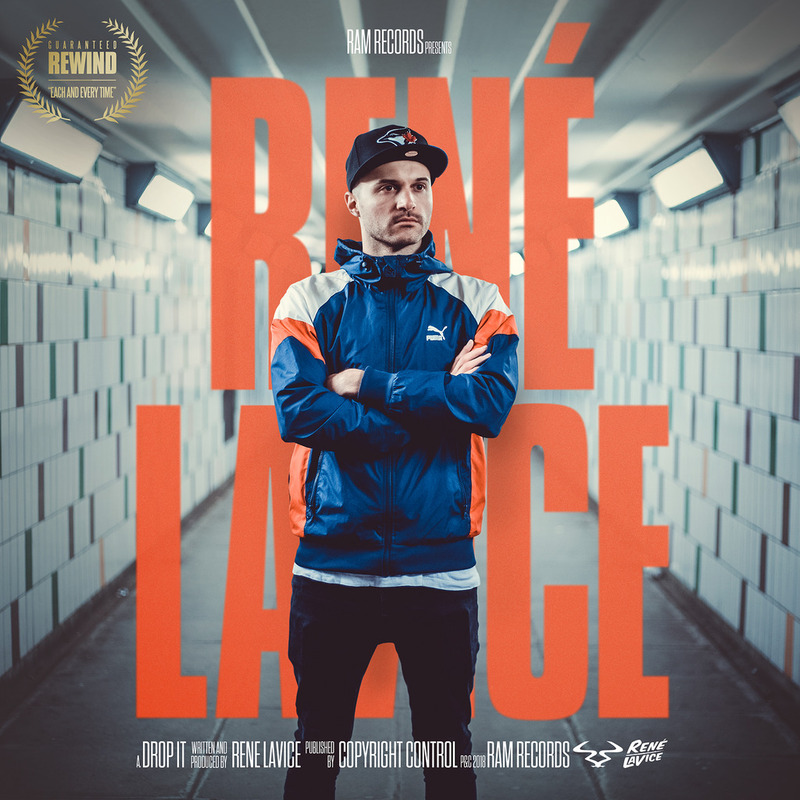 With the New Year beginning and having already released two critically acclaimed albums, Rene LaVice is ready to unleash yet another phenomenal LP into a discography which has grown him a formidable fan base. Following a slew of successes throughout 2017, which saw a hard grafted career path lead him even further under the spotlight, his singles on groundbreaking drum & bass imprint Ram Records have reignited the excitement which surrounded the artist when he was first signed to the label. As well as the announcement of his tastemaker Radio 1 slot, he’s levelled up since his appearance on the scene and continues to push the boundaries with every movement he’s made since. Forthcoming in its lead up is ‘Drop it’, a dancefloor lead anthem which focuses on an epic build up and an even more cataclysmic breakdown. The track steps keenly into live drum instrumentals and slowly ticking beats, before Rene’s own vocal sample drives you deep through the track’s heart. The tell-tale Rene LaVice snare then kicks into play, before you’re weaved through an effortlessly tight mixdown, taking on hit after hit of unadulterated bass peddles. The producer reasserts himself as one of the most enigmatic and creative artists within the current climate, drawing on a host of influences to fully expose the music he draws inspiration from. ‘Drop it’ warbles like a siren, manifesting the image of all-out chaos when it’s launched from speaker stacks. Prepare yourself for the new sounds of Rene LaVice; 2018 has begun yet another epic chapter. The album is pencilled for early summer and fans both old and new will be waiting patiently for the successor of ‘Play with Fire’. Set to be released on Ram Records, a label which has been twenty five years strong in the game and boasts some of the scene’s finest, it’s the perfect home for yet another game-changing Rene LaVice record.